After being in the Harley-Davidson business for over 20 years, Rick Worth had a problem. He was running out of space in his Gladstone showroom. Worth needed more space. So he turned to his bank and Heartland Business Capital to help him secure a 504 loan for only 10% down, with a fixed-rate over 20 years. With his new loan, he was able to purchase a former Volvo dealership in Kansas City, Missouri. The new property offered 31,000 sq. ft. of space on 5 acres. Worth promptly added another 10,000 sq. ft.
With the new space, Worth could now offer a grand total of 300 Harley-Davidson motorcycles in his showroom, plus thousands of special items for Harley fans, available both in-store and online—maintaining his status as the largest Harley-Davidson dealer in the Midwest. 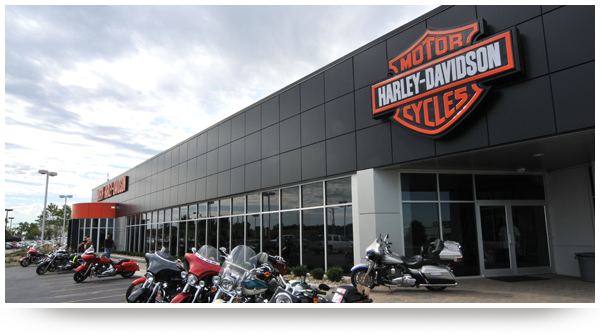 To learn more about Rick Worth and his Harley-Davidson dealership, visit www.worthharley-davidson.com. Husband and wife business team Dr. Karl A. Breuckmann and Dr. Kami Ross had been practicing in the Kansas City area for about 7 years when they decided to purchase their own family dental practice. After purchasing their practice in 2007, they decided it was time to buy the building they had been leasing. 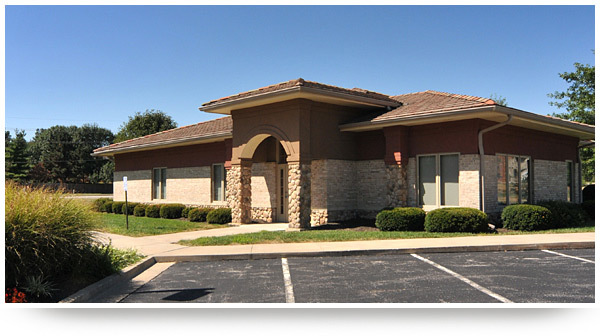 The dental office, located in Olathe, Kansas, was a free-standing building on 1.5 acres. With 3,000 sq. ft. of dental office space and 18 parking spaces, the building was the perfect spot for their growing business. Heartland Business Capital teamed up with their bank to get them a loan to purchase the building, which helped them lower their overhead—and hire new staff. The duo now provides family and cosmetic dentistry to more local residents than ever—treating individuals of all ages. To learn more about Breuckmann & Ross, DDS PA, visit www.olathefamilydentist.com. Jason Cohurst, Canyon Stone, Inc.
Canyon Stone, Inc. specializes in manufacturing high-quality synthetic stone for both residential and commercial construction projects across the country. Founded by Wylie Saulsbury and Jason Cohurst, the company continued to grow throughout the past 5 years, eventually outgrowing its 31,000 sq. ft. of leased manufacturing space. After some consideration, the owners decided to buy the 83,000 sq. ft. building they had been leasing on 9 acres in Olathe, Kansas. Heartland Business Capital worked with them and their bank to help them get approved for a 504 loan. After receiving their loan, the business not only assumed ownership of the building with another leasing tenant, but also added another 11,000 sq. ft. of operating space to their existing 31,000 sq. ft. They reduced overhead—and expanded their operations at the same time. To learn more about Canyon Stone, visit www.canyon-stone.com.